When it’s safe to do so, pull over and stop the car. You’ll know they want you to pull over when you see the blue lights on top of the vehicle flashing. Try your best not to panic. The police can stop you for any reason, so it’s best not to jump to conclusions. Once you pull over, turn your engine off and stay inside the car. Avoid the temptation to get out, as this may be mistaken as an attempt to escape. Wait for the police officer to approach you and roll down your window. It’s best not to say anything until you're told to do so. Be polite and respectful when speaking to the officer and try your best to remain as calm as possible. When you’re pulled over by the police, they can ask to see various documents and you must give it to them. This includes your driving licence, car insurance certificate and your MOT certificate. If you don’t have them with you, you’ll have one week to bring them to a police station. If the police officer suspects you’ve been drinking, you may be asked to take a breath test. This may also be necessary if you’ve been pulled over for committing a traffic offence or if you’ve been involved in a road traffic accident. If you fail the test without a reasonable excuse, they have the authority to arrest you. One of the most common reasons people are pulled over by the police is for minor motoring offences. You may be given a fixed penalty notice, fined up to £200 or receive penalty points on your license. Such traffic offences include using a mobile while driving, forgetting to wear your seat belt, driving too close to another vehicle and careless driving. However, you might get lucky and be issued a warning instead of getting charged with an official offence. The best thing to do in either case is to respond calmly and don’t make the situation worse for yourself. Make driving a lot less stressful by installing the MyCarNeedsA.com app. You will save time, money and hassle with all the chores you have deal with when you own a car. The app include emergency help with SOS breakdown recovery plus FREE accident aftercare. 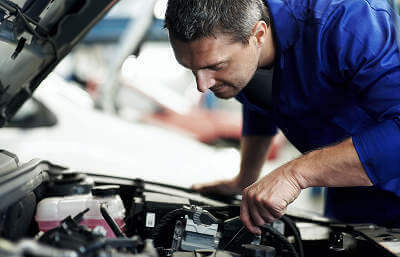 You can take care of the routine tasks associated with car ownership with a fantastic independent insurance comparison service and reminders for MOT & servicing. Everything you could possibly need to assist and prompt you to take car of your car.